The dawn of post PC! The PC is dead and this year’s CES proves it- BBC’s Timothy Lee. Going by the product roadmap declarations from Intel, the surprising popularity of Chromebooks, the visions of augmented reality and touch based future interfaces and (the old news) Google Glass – computing is evolving and the PC is a dead generation. 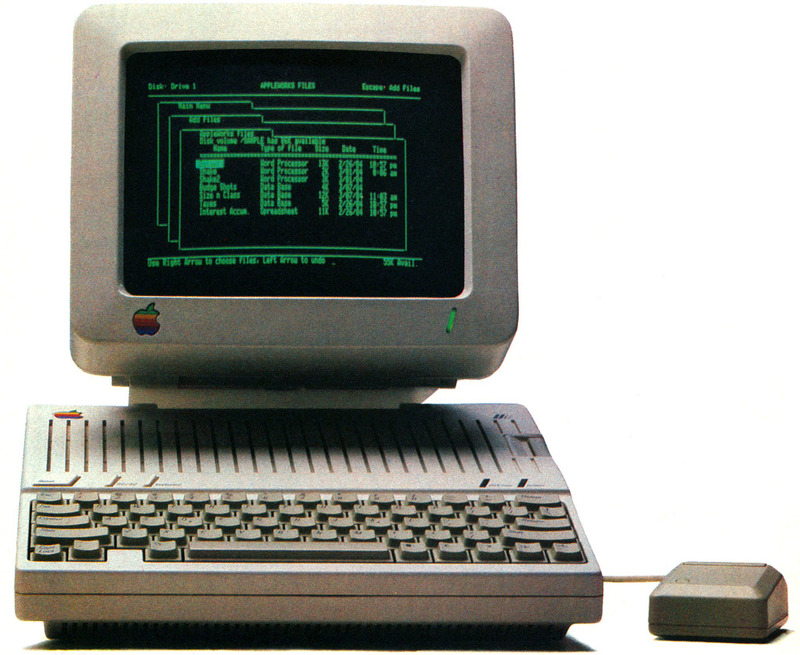 The general-purpose PC became the dominant computing paradigm of the late 20th Century because computing hardware was too expensive and cumbersome for most families to own more than one or two of them. But processing power is getting smaller and cheaper, while display technologies with flexible and durable screens are getting more flexible and powerful. The PC was the jack of all trades, but master of none. In contrast, special-purpose designs can be tailor-made for a specific application. As those devices become smaller, cheaper, and more versatile, the cost, size, and complexity of conventional PCs will be more of a turnoff for ordinary users. Right now, no one is clambering for computers in their wristwatches or tables. But the combination of tiny, cheap computer chips and increasingly strong and flexible displays will eventually mean powerful computational capabilities being integrated into a wide variety of household objects. Obviously, PCs won’t go away completely. After all, IBM still has a thriving business selling mainframes.Also, if you want to do serious spreadsheet wrangling, photo editing, or software development, a Chromebook or a Tablet probably won’t cut it. But most people have no interest in doing those things outside the office. If, like millions of people, you mostly want to check Facebook, read your email, and watch YouTube videos, then a ChromeBook works just fine. And ChromeBooks aren’t only cheaper, they also avoid many of the hassles and pitfalls—software updates, malware, baffling error messages—of Windows PCs. Most users don’t actually need all the features of a standard PC, and for them the extra complexity just means more headaches. Hard-core gamers have long been a key market for PCs. Gaming consoles aren’t new, of course, but the most sophisticated and powerful games have always relied on the superior horsepower of a full-scale PC. However PC Gaming gaint Valve, unveiled a line of special-purpose gaming devices designed to entice PC gamers into the living room. These machines should have enough computing power to satisfy even the most demanding gamers. 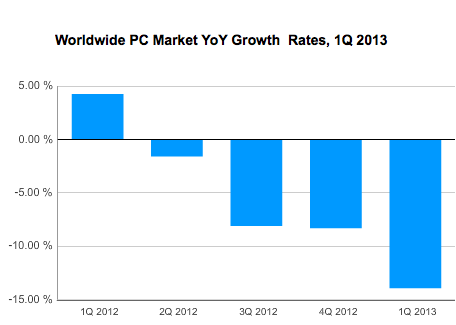 The key concern here for PC is that most of the vertical innovation is happening out of PC. This then is the era when the Consumer innovation on PC as a major platform is over. 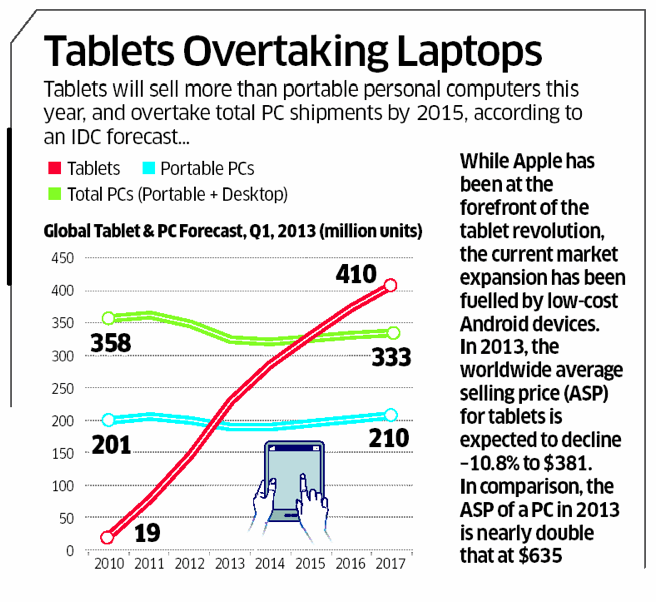 Steve Jobs was right – Its a world of Tablets with Laptops only a niche! NPD predicts that 2013 will see the first time that worldwide sales of tablets will surpass sales of laptops. 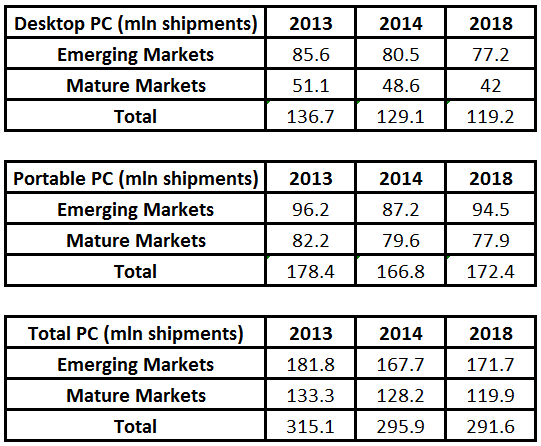 NPD expects 240 million tablets to ship, but only 207 million laptops. That’s just the tip of the iceberg. 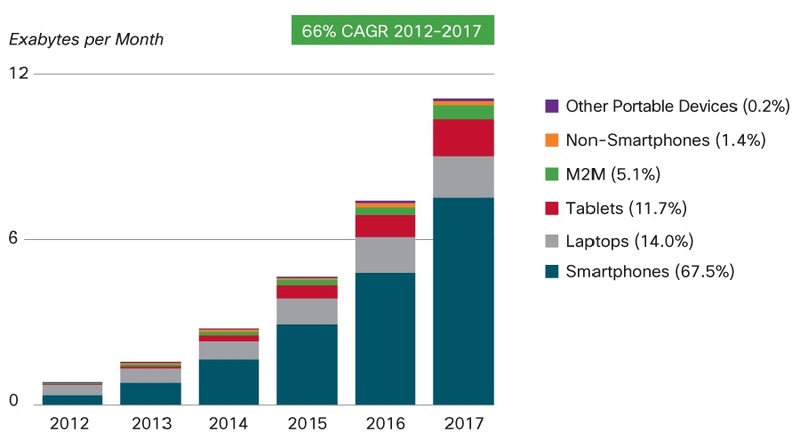 By 2017, laptops are on track to shrink to just 27% of the mobile PC market. 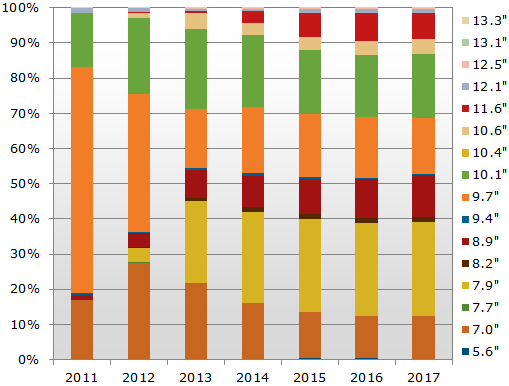 In a market that has been dominated by Apple, shifting market dynamics are creating the opportunity for a greater variety of choices and screens, which will drive shipment growth in 2013 to 64% Y-o-Y (against 2012). In 2013, 7- and 8-inch tablets are expected to ship 108 million units. That’s a whopping 45% of the market. The 9.7-inch screen size of the traditional iPad is set to shrink to only 17% of the market. 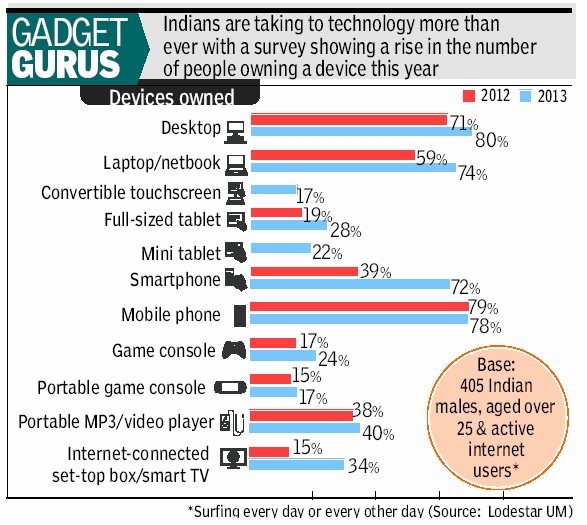 Undoubtedly, the huge surge in the 7inch devices is thanks to last year’s launch of the iPad Mini. While Apple is still facing stiff competition in the coming years, it will continue to do well in the market thanks to its brand awareness and high-quality ecosystem. North America and China, the top two tablet markets, already saw tablets surpass laptop shipments last year. North America will remain the largest market with a 35% share (85 million units) in 2013. Having passed EMEA in 2012 to become the second-largest market for tablet PC shipments, China will have 27% of the global tablet market in 2013 with shipments of 65 million units, driven by small local brands. As the variety and demand for new screen sizes increases, so will market growth in emerging markets. As countries like China and India continue to modernize while growing their middle class, the demand for tablets will continue to grow at an amazing rate. The cost-to-utility ratio of tablets is clearly a winning formula for PC companies and consumers alike. Meanwhile, desktops and laptops are continuing their fall to niche status. When the vast majority of everyday tasks are handled on cheap, sleek, and portable devices, the need for a traditional computer peters out for most people. Notebook PC shipments have been slowed by declining demand worldwide, reaching even emerging markets where low penetration rates could have stimulated demand. 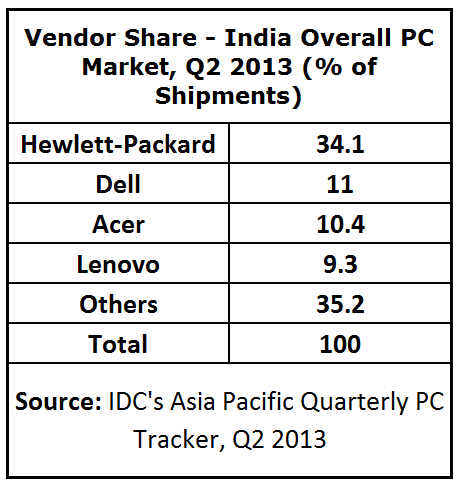 However, increasing tablet PC adoption is stymieing notebook PC growth. The second half of 2013 may provide a respite as new processors aim to bring more tablet PC-like features, such as instant on, all-day battery life, and sleek form factors, to notebook PCs. If the NPD numbers hold true, we can expect a number of players in the traditional PC market to jump ship, and switch to making tablet and smartphones exclusively in the coming years. The tablet markets saw increasing investments in North America in the second half of 2012, from major brands that tested not only new screen sizes and price points, but also unconventional business models to support their efforts. The subsequent increase in shipments and demand underscored the benefits of segmentation in the market as it drove rapid market expansion. In 2013, further investments are expected worldwide, stoking demand to the point that tablet PC shipments will exceed those of notebook PCs. Its raining tablets… rather it’s a deluge. The Taiwanese and Shenzen factories are producing Android’s faster than Egyptian Anubis’s army. 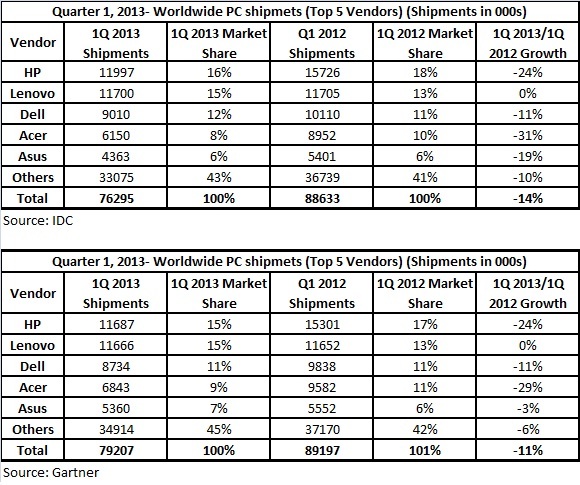 However iPad has a stranglehold on the Tablet markets so long and Tablets have threatened to cannibalize PC sales. However, a contrarian view published by Bernstein Research analyst Toni Sacconaghi declares that tablets might not be cannibalizing on notebook sales as everyone initially thought. Instead, what could be happening is that there is a convergence of the of the 2 categories of portable machines coming into play. The demand for ultra-portable devices has seen the birth of MacBook Air, as well as Intel’s new breed of ultra-portables. Tablets are getting more powerful while the ultra-portables are getting lighter, and the distinction between the two is blurring. With falling prices and more powerful capabilities, it wouldn’t be too far-fetched to assume that convergence is indeed the case. In the next two to three years, the distinction between Tablets and Ultra-portables will be completely off. OEMs will offer notebooks at the weight of the touchscreen tablets and integrated keypad capability. 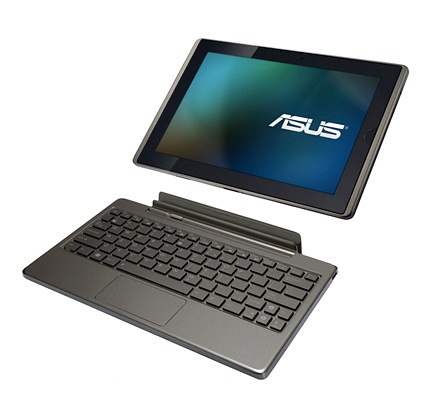 We see the case of Asus Transformer as what could be one of the first of such Tablet-Notebook Hybrids: a broad harbinger of notebook and tablet convergence. Whether its solid-state storage prices decrease and low-power/high performance processors coming to fore, the convergence is writ large on the horizon. Ironically, availability of such notebook devices might undermine tablet sales, rather than vice versa. In other words, the cannibalized becomes the cannibal. And in the end, it turns out that the post-PC era doesn’t mean that the PC is dead, but rather that it’s been born anew as a converged device — an ultrathin, touch-sensitive notebook.